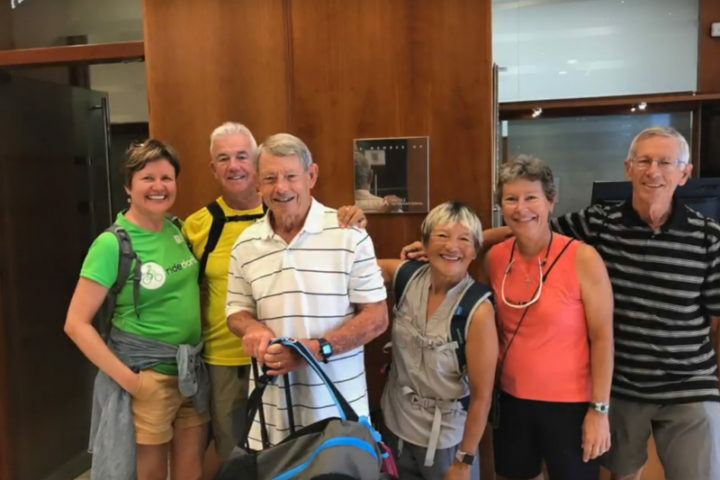 We have received the visit of a group of Hawaiian and Canadian cyclists, who have decided to take a 9-day bicycle trip in the Catalan territory. And this has been the result! From LetsVelo we propose 9 intense days of cycling in Catalonia and to visit the most beautiful regions. In these ready-made retail itineraries, you can enjoy the best cycling days in the morning and afternoon rest. Going forward each day until completing the journey to the next town, LetsVelo will charge to bring the luggage to each town. 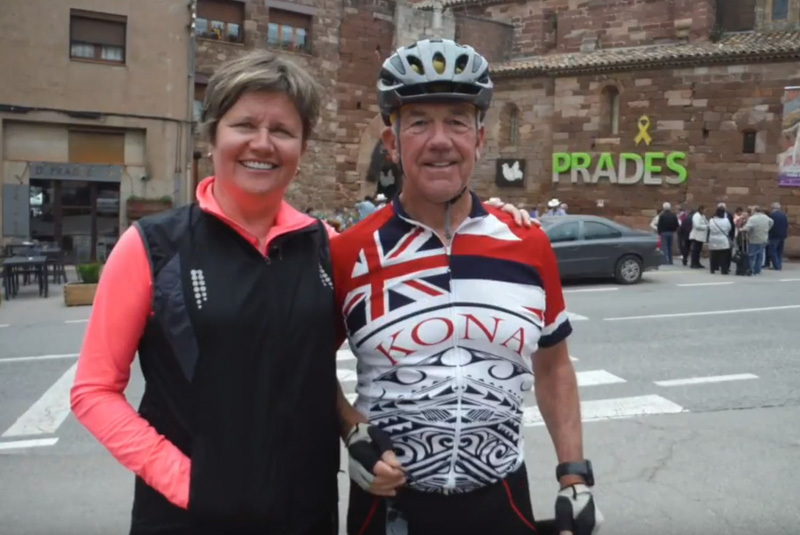 We plan all our cycling holidays routes carefully, making sure that they are interesting and enjoyable, with quiet roads and country lanes wherever possible. Our Cycling holidays are designed to satisfy! We give you freedom and support. The route and itinery is planned and the luggage transfer and accommodation is also arranged in advance giving you all the time you need to just go out and explore! If you want a long-distance cycle trip in Catalonia, there are no better routes than the Catalonia bike tour. 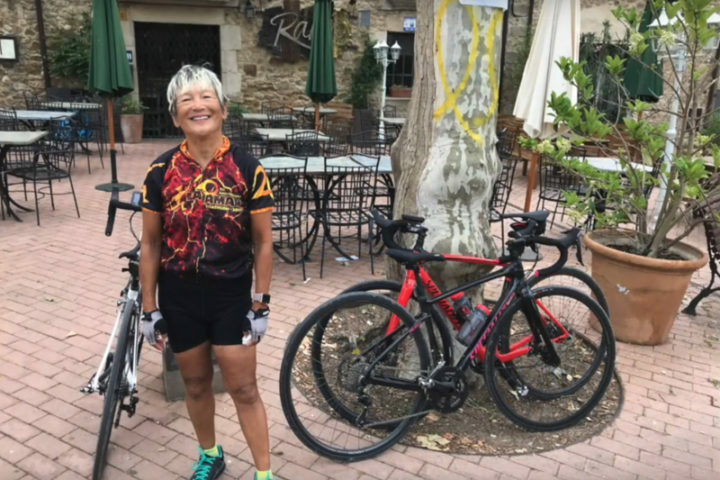 With medieval towns, stunning countryside, and quiet country lanes, Catalonia is an ideal destination for a cycling holiday. Complete proposal to discover the Catalan territory and visit in 9 days its corners of obligatory visit and of more scenic interest and culutral richness. 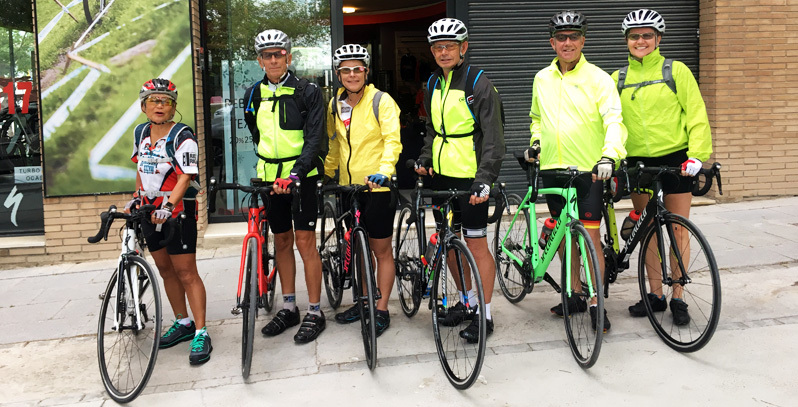 Some intense days of cycling, starting in the southern area, going through the heart of Catalonia and ending in the Costa Brava and the regions of North Girona. It will be in these places where you can enjoy some intense and different landscaping combinations that will surely surprise you. 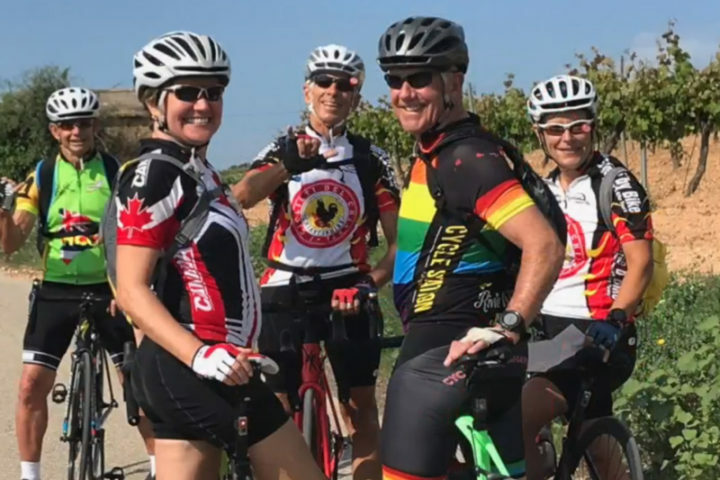 Cycling Holidays in the Penedes, in the countryside of Barcelona. Vilafranca del Penedès is the capital of the Alt Penedès and is the wine capital. 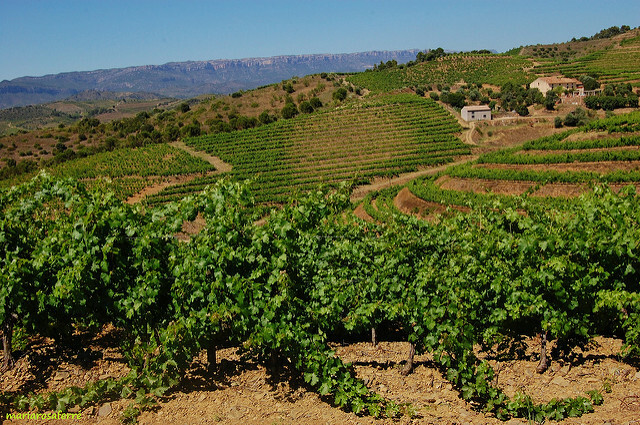 It is one of the most important medium-sized towns in Catalonia due to its strategic location, good communications and because it is capital of a region, the Alt Penedès, with a strong winemaking tradition. The production of wine has marked its character, culture and traditions. Vilafranca has ably combined mediaeval nobility with the new tendencies typical of a modern commercial, cultural and services centre. 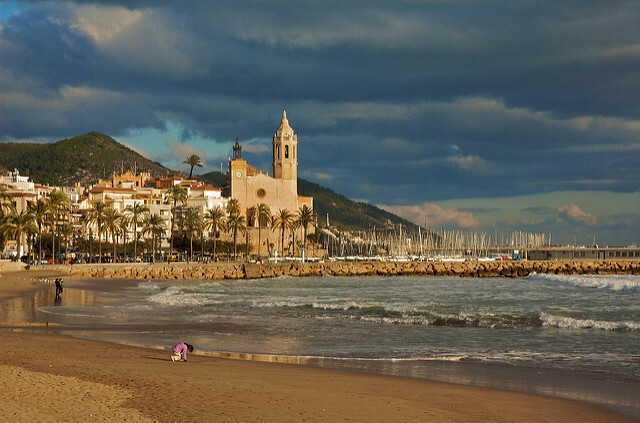 Cycling Holidays in Sitges, in the outskirts of Barcelona and Tarragona. Sitges has always been a place which has enchanted artists, tourists and visitors from all over the world. For many, the secret lies in its light and almost 300 days of sun that it enjoys every year, which attracted the painters, sculptors and writers who settled here at the end of the 19th century. Nature has indeed been generous to Sitges with its setting in an outstanding location on the Mediterranean coast at the foot of the Garraf Massif. Its cultural heritage is extraordinary, with a lively art scene and its traditions are respected with a modern perspective. Sitges has preserved important features both from mediaeval times and from its history as an old fishing town, enabling visitors to enjoy a notable architectural heritage. Moreover, it is a cosmopolitan town which has attracted residents from more than 70 nations. Yet now it is time to look forward and Sitges in the 21st century, whilst mindful of its roots, is focused on innovation and creativity. Our wish is for Sitges to remain an attractive and seductive town. Cycling Holidays in Tarragona in the southern area og Catalonia. Dedicated to Saint Tecla, the city’s cathedral was built on approximately the same site of what was once the Roman temple. An oval structure built in the 2nd century overlooking the sea, its stands were carved directly out of the underlying bedrock. Located at the top of Rambla Nova, rising 40 metres above the sea, this airy “balcony” offers a splendid view of the Mediterranean, the Tarragona port, Platja del Miracle beach and the ancient Roman amphitheatre. With the pacification of the region in the 1st century, the Roman army withdrew from the city’s High District, an area spread over three terraced steps. The intermediate step contained the provincial forum, the political and administrative nerve centreof the province of Tarragona. 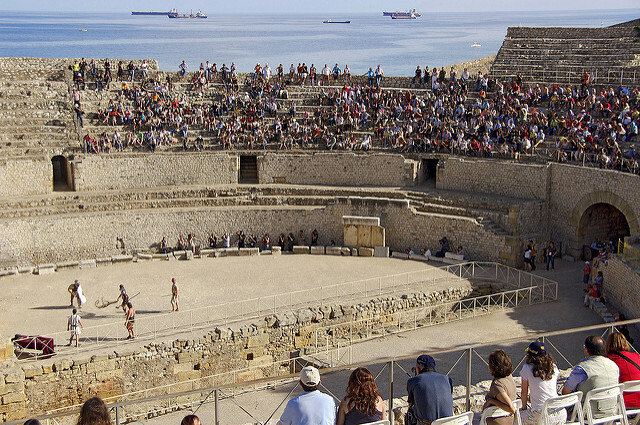 Located between Via Augusta and the provincial forum, Tarragona’s circus was once used to hold horse and chariot races. Since the city was founded, trade has been the most important economic sector in Tarragona. In recent years, retailers have been an engine of growth for the city, due to both the arrival of outside chains and the organisation and renewal of the genuinely local offer. The typical fishing neighbourhood, where the fish that was fished throughout the day is auctioned in the afternoon. In the same way, Falset has a powerful association, which makes the town a permanent bull of cultural, social and festive activities. The music school, Radio Falset, the Encamisada festival, the Football School or the Vila de Falset Mountain Race are just some good shows of this collective vigor. All in a town full of history, which originated in the 12th century castle and, among other things, it was the birthplace of two Catalan queens: Elionor de Prades, Queen of Cyprus and Jerusalem, and Margarida de Prades, queen of Aragon and last queen of the dynasty of Barcelona as wife of Martí l’Humà. Therefore, past, present and future meet in Falset, a town where the world of wine, quality agriculture and the relationship with the natural environment have never stopped marking the way. Although the urban nucleus is of medieval origin, there is news of prehistoric settlements in the natural area of Falset since the time of the Lower Palaeolithic, that is, for about 40 thousand years. The cultural essence of inland tourism, L’Espluga de Francolí is the best reflection of an interior tourist organization. 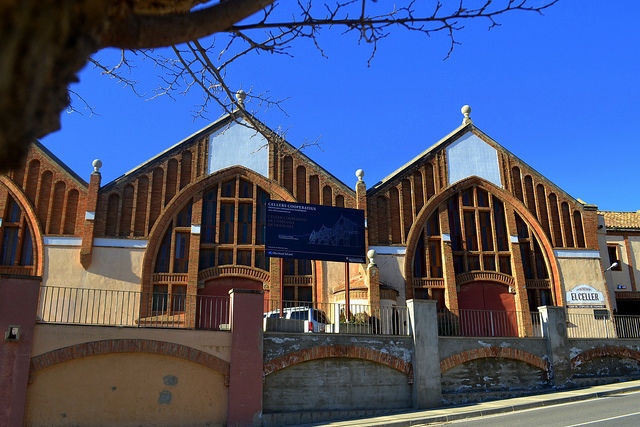 The attraction and influence of the neighboring monastery of Poblet has allowed to equip the Espluga with an important infrastructure of services, of cultural and leisure offer closely linked to the natural attractions that it has its term: the mountains of Prades, the Museum of the Rural Life and, especially, the cave of La Font Major. The historical nobility has left the mark of remarkable espluguins; There is a reflection of what we invite you to enjoy today. Well-known everywhere for many years, this town has become a must-see for those who want to enter the art, history and knowledge of New Catalonia. Tarrega The origin dates back to the eleventh century when the Count of Barcelona, ? ?Ramon Berenguer I, conquers the castle. Since then the city becomes a strategic crossroads that will remain until today. Until the sixteenth century the city experienced a period of prosperity thanks to the Jewish community, but this ended with the arrival of pests, feudal violence and banditry that was a major expenditure for the construction of the wall. From the sixteenth to the nineteenth century a series of crises followed enhanced by large families and fear of people and will not be until well into the nineteenth century were initiated to convert various public works in a city Tarrega complete with rail, light, water, telephone and roads. Today, the main economic activities of the cities is the service sector: trade distribution, offer administrative, educational and culturla, emphasizing this last point Fair Street Theatre (Fira de Teatre al Carrer) held every September. Although characterized by the confluence of roads that has been become an important commercial network. On the other hand, the agricultural sector opens new building expectations Segarra-Garrigues Canal. Tarrega is located in Lleida flat, and is the capital of the region of Urgell. It is located between the highlands of Segarra and Urgell and Ondara riverbanks. It also includes the towns of Altet, Claravalls, the Figuerosa, the Talladell, Riudovelles and Santa Maria de Montmagastrell. 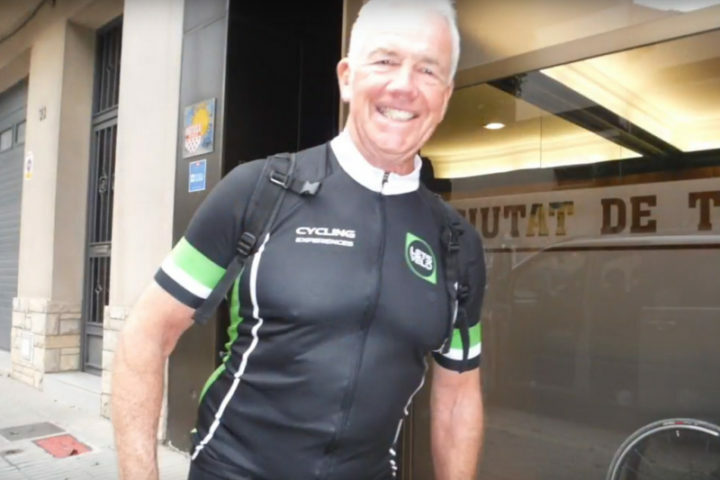 Cycling Holidays in Catalonia, a long-distance cycle trip in the Costa Brava and the regions of North Girona. 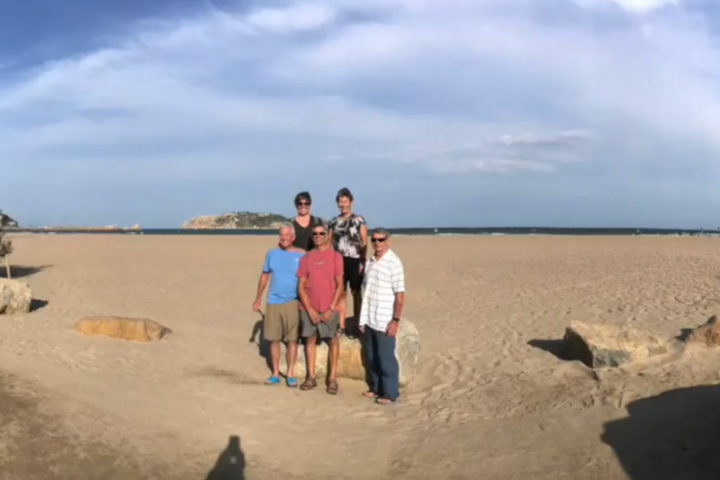 The geographical situation and Costa Brava climate make L’Estartit an ideal place to enjoy a pleasant holiday at any time of the year. The town offers visitors a wide choice of modern accommodation with hotels, apartments, campsites and rented holiday houses, as well as numerous sports facilities, leisure activities and shopping areas. Tourists will enjoy both the natural environment and the historic and cultural heritage of the area. The wide range of activities on offer includes walks and cycling trips, horse riding, scuba-diving, sailing, golf, cultural visits and events such as concerts, festivals, theatre and cinema. L’Estartit is quality tourism, action tourism. 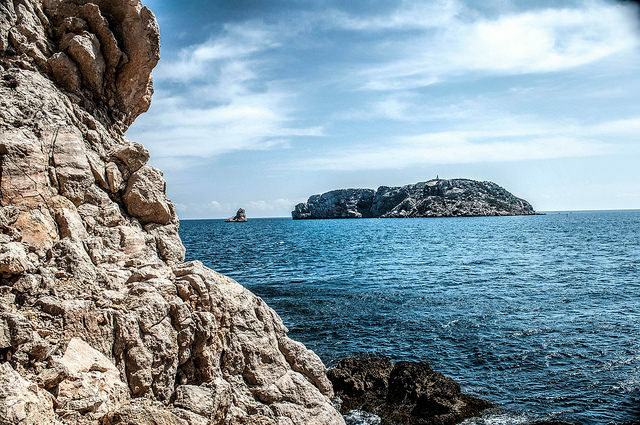 Located just a mile off the coast in front of L’Estartit beach, The Medes Islands archipelago is part of the Montgrí, Medes Islands and Baix Ter Nature Park. The Medes archipelago has seven islets and a surface area of about 23 hectares. The Medes Islands are today one of the most important marine flora and fauna reserves in the western Mediterranean, as well as being a popular scuba diving destination. Twenty years of protection have brought about a spectacular recovery of the wealth of the seabed, the marine environment and the islands themselves. Companies operating in the area offer attractive trips in glass-bottomed boats around the islands and along the equally stunning Montgrí coast. The wide range of water and underwater activities available must comply with the regulations that have enabled the preservation of this natural space. Cycling Holidays in the norto of Catalonia, in Costa Brava and Girona. 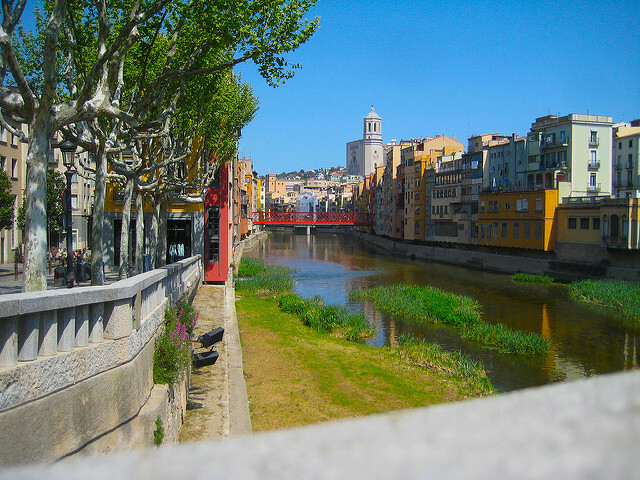 One of the most interesting in Catalonia, the historic city of Girona invites visitors to trace its more than 2000 years of history through two fortified enclosures, the Força Vella and the Medieval Quarter. The Força Vella dates back to the Roman foundation while the medieval extension of the city walls was carried out during the 14th and 15th centuries. The city’s artistic heritage has been preserved in the numerous monuments that have survived until today. 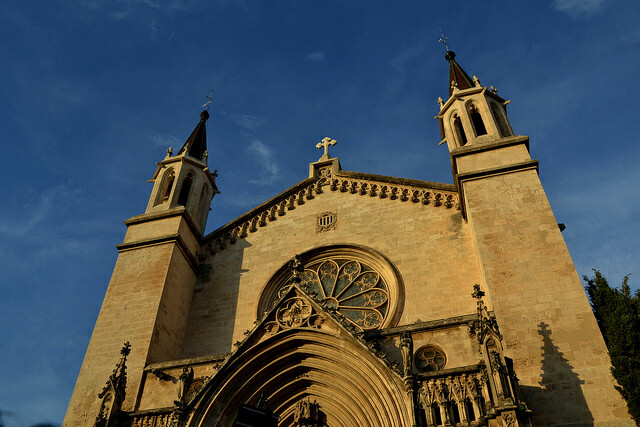 The highlights of Girona are rounded off by the impressive old Jewish Quarter or Call, with its beautiful streets and porticoed squares, and by the exuberant baroque spaces and Noucentisme-style buildings by architect Rafael Masó. 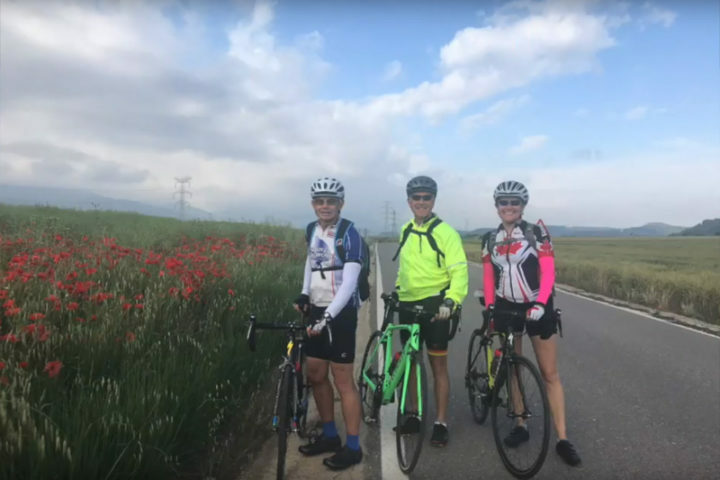 If you are you looking for a more personal, intimate and personalized cycling holidays, we can create a bike tour exclusively for you, designing your experience, we will help you customize so that you can enjoy it the most. Just let us know the details of what interests you. We’ll handle the rest. Let Letsvelo takes care of it all while you enjoy a worry-free vacation planning experience. If you want to enjoy a similar cycling experience, contact us! 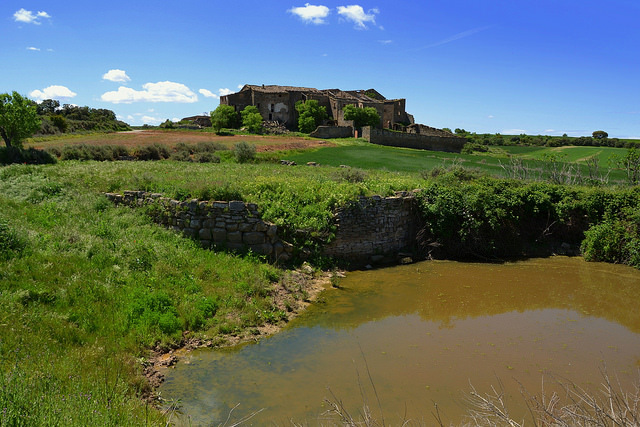 Previous postA lake, a castle, a family, and the best tradition of organic wine-making.